Extremely intense pale pink in colour with a depth of colour set off by tiny fuchsia reflections. The nose is floral with subtle hints of violet. Then the flowers are followed by fruity aromas of similar delicacy ? wild strawberry and raspberry. It is fresh and spring-like on the nose. Its fine, elegant flavours deliver what is promised in the nose. Small red fruits dominate throughout with hints of raspberry and redcurrant. The mouth exhibits a delightful freshness with a slightly tart finish. 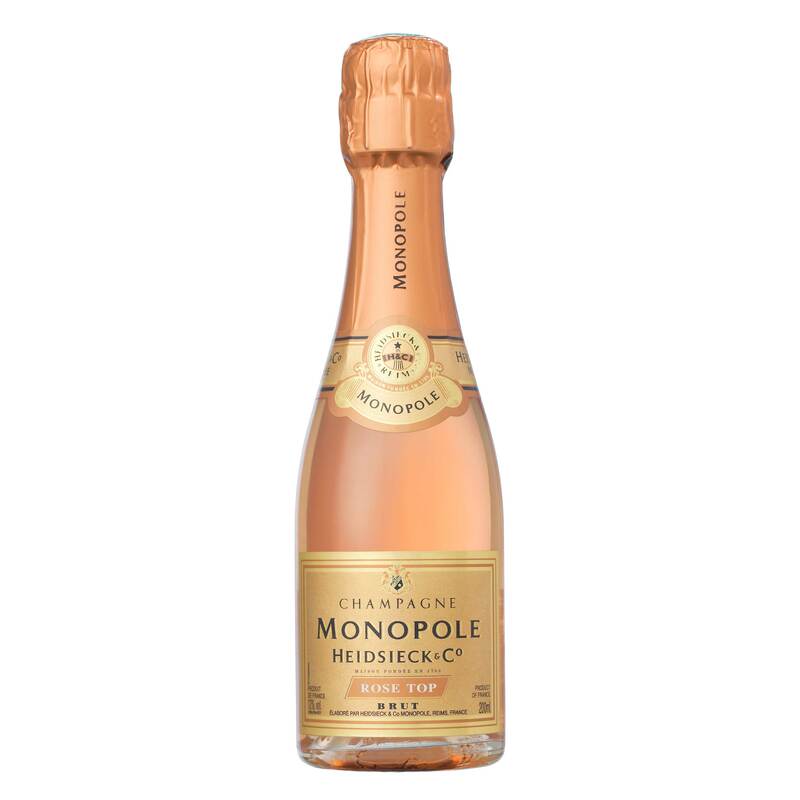 Founded in 1785, Heidsieck & Co Monopole is based in Epernay. Owns 420ha of vineyards (including some of the best Grand Crus vineyards), with another 2,800ha of vineyards under long and short term contracts. Vineyards are in the 3 main areas of Champagne ? Cote des Blancs, Vallee de la Marne and the Montagne de Reims. The production facility for Heidsieck Monopole is at Tours sur Marne in the village of Bouzy.